Hey there, guys. Glad to see you! I’m gonna have to make this quick today because I’m totally in racing mode. You know I like competing, right? Well, the one thing I like even better is winning. It doesn’t matter at what, just as long as I’m the fastest, strongest and the best. And when I lose… I better not tell you how bad I feel about losing. 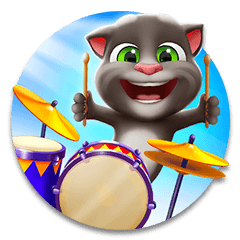 That’s why it was such a shock for me when Talking Angela won a Talking Tom Gold Run race against me this week. You heard me, she was faster than me! How could that be!? OK, first let me tell you something about our competition. The Talking Tom Gold Run app now has a Racing Contest feature where you can race against other competitors! It’s really great, guys, you gotta try it out! We loved it – we spent the whole week racing. It was so much fun! Then we decided to have a tournament. I won against Talking Ginger by a tenth of a second. It was a pretty close call! Talking Hank was a difficult opponent too, but I managed to beat him fair and square. Talking Ben was the easiest to compete against; he was good but he got angry at every tiny mistake and then made another mistake! So now I know I don’t have to win all the time. Sometimes defeat can be just as sweet. Or at least helpful. I mean, you can learn a lot from losing. But… winning’s pretty awesome! 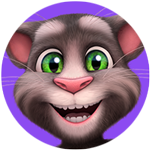 See for yourself by climbing the leaderboards in the latest update of Talking Tom Gold Run! Click here to download. Good luck, guys! Have some great races! Until next time, have fun!